California driver's education is required for any person under the age of 18 who is seeking a driving permit and ultimately a driver's license. 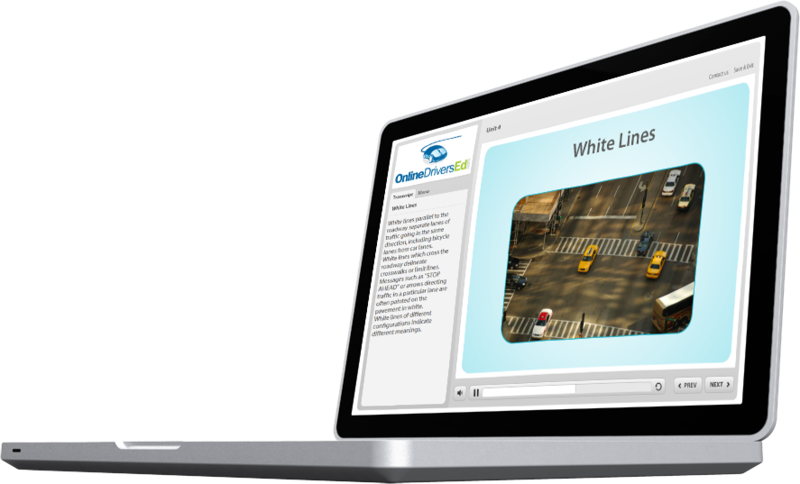 With OnlineDriversEd.com you can take the California driver education course completely online! The total price of $29.50 includes your online California driver education certificate of completion. Your California drivers education certificate of completion is processed and mailed out via U.S. regular postal delivery no later than the business day after you pass your final exam. The certificates are California DMV accepted certificate OL237. Express delivery options are available at an additional cost.